modern theater is an integrated place for display of theater, drama, opera, dance, folk art and music. 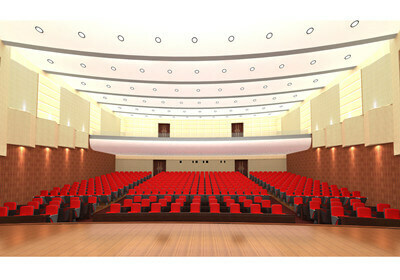 With multifunction purpose, acoustic design is very important for theater. How to soundproof a room for theater architectural design involves in the structure, shape design, sound design and sound insulation. The seat capacity calculation is bounded to the curtain line. Volume calculation should also include hood of stage. This is not suitable for thrust stage and arena stage. The drama theater should not hold above 1200 seats, the opera should not hold above 1800 seats. Acoustic quality design for theater. The above use in 600-600 audience hall. 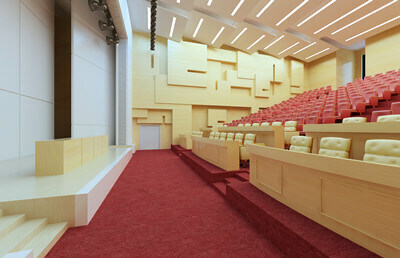 The acoustic quality of Auditorium hall should have a relatively strong sense of strength, clarity and fullness. 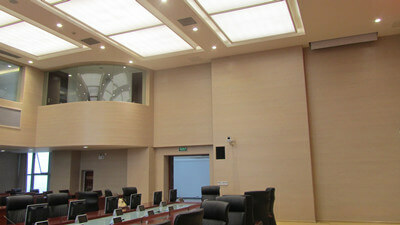 Audience hall is not allow appearing echo, multi-echo, flutter echo and acoustic focusing and acoustic resonance defects in any position and cannot interference caused by theater equipment and the environmental noise.